Last October, I was honored by the staff and membership of the California Primary Care Association (CPCA) at a reception celebrating my 20 years at the helm of the organization. It was an amazing evening filled with longtime colleagues, mentors from throughout my tenure, and cherished friends. As I watched the slideshow that my staff had put together, showcasing major events from the past two decades, I was filled with gratitude and a sense of accomplishment for what we have been able to achieve these past 20 years. Throughout my tenure I have been so fortunate to have worked with a remarkable team of dedicated staff, an amazingly forward-thinking Board, and a membership that has become a source of inspiration for the rest of the nation. 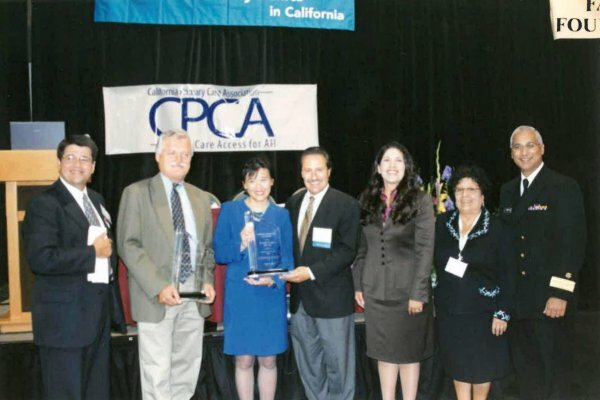 Most days I still find it hard to believe that I’ve been at CPCA for twenty years; but thinking back to why I went to law school in the first place, it is clear to me why I continue to dedicate my career to the community health center movement and to advancing our mission of health care access for all. Twenty-seven years ago I graduated from Yale Law School. Looking back on it now, the fact that I felt I had a strong purpose in my life is what got me through all of the years of hard work that led me to ultimately graduate from the best law school in the country. My purpose was to arm myself with the most prestigious law degree and arduous training I could secure and use those tools to address the social inequities that were plaguing my community. I felt that my degree would open doors and allow me to use the law to become a social justice advocate for the Latino community. I am so grateful that I ended up at the law office of Public Advocates, Inc. in San Francisco after graduation. Not only because it brought me back to California, but because it gave me the opportunity to create a Latino voice in health care, at a time when none existed, by founding the Latino Coalition for a Healthy California (LCHC). It also gave me the opportunity to participate in class-action litigation and learn the ropes of non-profit leadership as a Managing Attorney. But the most important thing that happened to me through my work at those two organizations was becoming involved in advocating for community health centers. After all, how do you advocate for health care access in the Latino community if you don’t advocate for health centers? 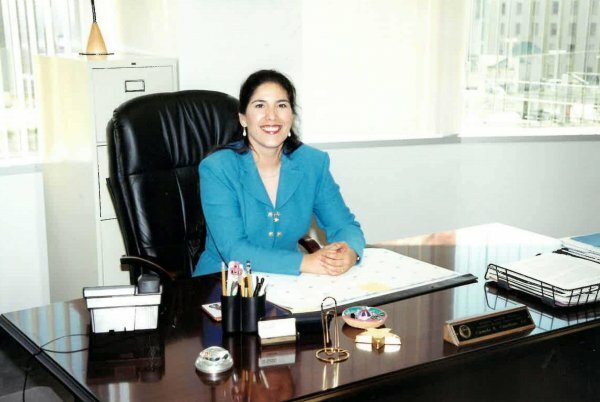 I also learned very early on that advocating for health care access for Latinos was more powerful when joining forces with other ethnic organizations and advocating on behalf of the safety net and California’s diverse communities as a whole. In fact, it was a call from Sherry Hirota, CEO of Asian Health Services, 25 years ago when I was still at LCHC, where she strongly asserted that LCHC would be in a much better position to advocate for cultural and linguistic competence standards in California’s Medicaid program if we joined forces with the Asian community and other ethnic groups that had an interest in the issue. I am thankful to community health center leaders such as Sherry for helping me to see the strength of broader coalitions and unity. My multi-ethnic coalition-building began when I helped to found the California Pan-Ethic Health Network (CPEHN) out of Public Advocates, Inc. 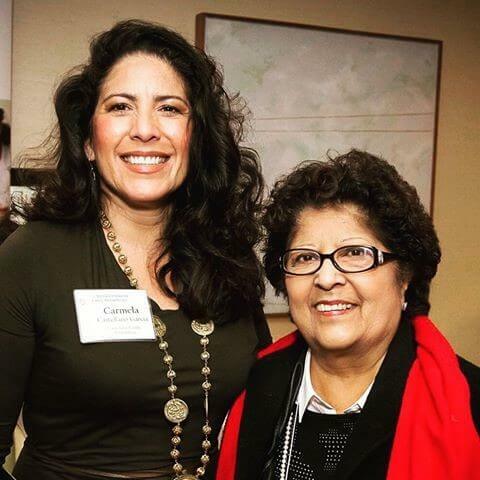 I went to law school to help the Latino community, but I realized that, ultimately, my passion was to help ALL vulnerable populations in our state — with a special focus on women’s issues in particular. I realized that there was more that I could be doing for all Californians, while also honoring my original purpose to support the Latino community. So, after six years at Public Advocates and LCHC, I was fortunate to become the CEO of the California Primary Care Association (CPCA). This was the right move for me at the right time. 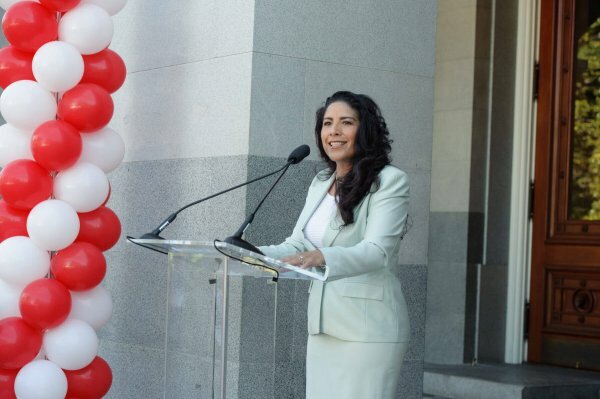 Term limits had been instituted in the California Legislature and for the first time, Latinos were rising to prominence and turnover was happening at an unprecedented rate. This created an opportunity for more individuals from under-represented areas who were committed to community health centers to move into positions of importance. This further strengthened the existing bi-partisan support from rural and other legislators throughout the state. These opportunities, combined with an aggressive legislative agenda for CPCA, made it an ideal position for me. (l-r) Dean German, CEO of Shasta Community Health Center; Assemblymember Wes Chesbro; Assemblymember Judy Chu; Cástulo de la Rocha, President and CEO of AltaMed Health Services Corporation; Carmela; Carmen Castellano; and Dr. Sam Shaker, head of HRSA. Since I started in 1997, CPCA’s staff has grown from just myself to nearly 50 individuals within four (4) departments. I am so proud of the hardworking, innovative, entrepreneurial staff we have at CPCA and of all of the work they do day in and day out for our health centers and their patients. CPCA has worked to develop forward-thinking strategic partnerships and critical service lines. Over the past two decades we’ve developed a robust training and technical assistance program aimed at ensuring community health centers are successful within the larger health care system. Each year, CPCA staff provide thousands of instances of phone, email, and in-person technical assistance. 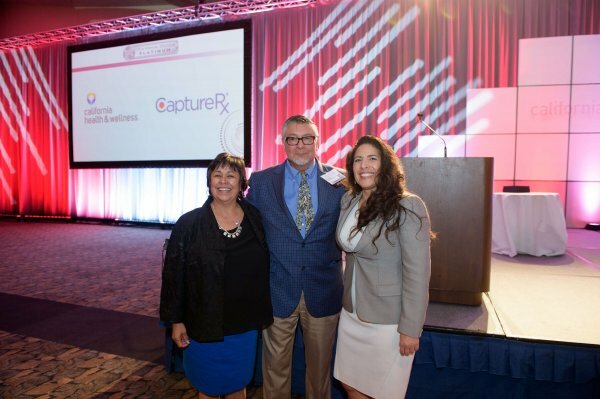 We continue to build partnerships with vendors nationwide to bring the best programs and services to CPCA members, helping them to strengthen their own organizations and improve their bottom lines. Through this work, health centers have only become stronger within the larger delivery system – despite the continually changing environment. In doing so, CPCA has been propelled from one of the youngest state primary care associations into the national spotlight as one of the strongest and most forward-thinking PCAs in the nation. In the past two decades, CPCA has been instrumental in the financial strength and overall growth of community health centers in the state. In fact, community health centers have had significant income growth, increasing their collective income by more than 600 percent from $795 million in 1997 to over $5 billion in 2016. Patients served has increased more than 275 percent during this same period from 2.4 million to more than 6.6 million, and total annual encounters grew by more than 12 million. During this period, federal funding to CHCs has increased from $105 million annually to $686 million and the number of health center sites has more than doubled to over 1,300 sites in 2016. Community health centers have become the backbone of primary care delivery in the State of California. We have also enjoyed a progressive advocacy agenda and impressive track record of legislative and regulatory victories throughout the years. By no means have we won every battle, but we’ve always put up a good fight and we have shown the amazing power we have when we are unified – in vision and in purpose. We’ve built wonderful relationships with legislators over the years who have become champions for the movement. 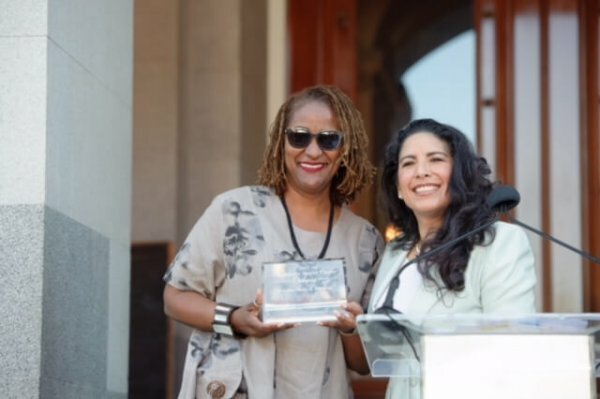 We’ve enjoyed legislative victories including the development of the Prospective Payment System model in California, the Cedillo-Alarcon Community Clinic Investment Act of 2000, and the creation of the Steven M. Thompson loan repayment program. And let’s not forget our successful implementation of the ACA in our state. While the uninsured rate dropped across all racial and ethnic groups, the greatest gains were seen among Latinos with 1.5 million additional Latinos gaining coverage under the ACA. The uninsured rate among this population was also cut nearly in half – from 23 percent to 12 percent. Community health centers in California have been a model for the rest of the country and I am immensely proud of what they have achieved – not only in helping the uninsured gain coverage but also in providing access to care for millions of newly insured Californians. Two years ago we developed a successful 501c(4) organization, CaliforniaHealth+ Advocates, that is dedicated to advancing the mission of community health centers through state and federal advocacy, and continues our legacy of successful advocacy efforts for members – including the recent billable provider legislation and securing $100 million dollars to address our primary care workforce shortage. I am so excited for our future as we continue to ‘up our game’ in Sacramento and strengthen the united voice of community health centers in California. I am very fortunate to have worked with so many amazing healthcare leaders in the clinic movement here in California. Individuals who, like me, have dedicated their careers to expanding access to health care for California’s vulnerable populations. We share this common purpose and commitment. I am so thankful to the community health center leaders who have taken me under their wing and shown me the ropes. There are a number of amazing leaders who have guided me over the years and been a source of support for me during challenging times, as well as a source of inspiration. I am also excited by the new generation of leaders coming to our movement, bringing renewed energy and a fresh perspective. Leadership development and succession planning will be important for the future of our health center movement as many founding CEOs are more closely approaching retirement. I am reminded of the great work that has already been done and am inspired for the great years of work ahead. I am also very thankful to my family, especially my parents, Alcario and Carmen Castellano, and my husband, Angel Garcia. They have cheered me on and provided their unconditional support, encouragement, and love. My parents, through their example of generosity, activism and leadership, have set the bar high in these areas and have inspired their children to carry the social justice torch. I am honored to continue their legacy of community involvement, advocacy, and service. It is an honor to represent my family in philanthropy as the President of the Castellano Family Foundation. Through this work, my parents have made it possible for me to give back my hometown of San Jose and have given me the opportunity to support the non-profit sector in a new way. This has greatly enhanced my work at CPCA as well, opening new doors and giving me the ability to take the health center message to new audiences. As I look back on my career, I have to say that I have been truly fortunate and blessed to have the opportunity to thrive in a job I love and work with amazing people day in and day out who share my passion and commitment. 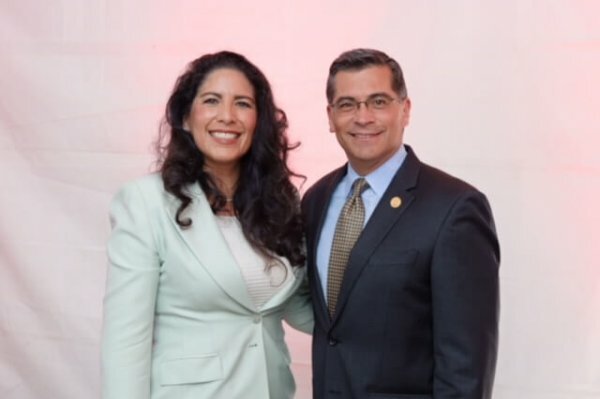 I have played a role in bringing health care access to millions of Californians, thereby accomplishing one of my life’s goals – which was to improve conditions for the Latino population of California and thereby positively impacting health care access for ALL Californians. Even more than that, I have been able to advance a broader social justice agenda and for young women coming up behind me, highlight what is possible when you follow your passion and are driven by dedication to do something bigger than yourself.